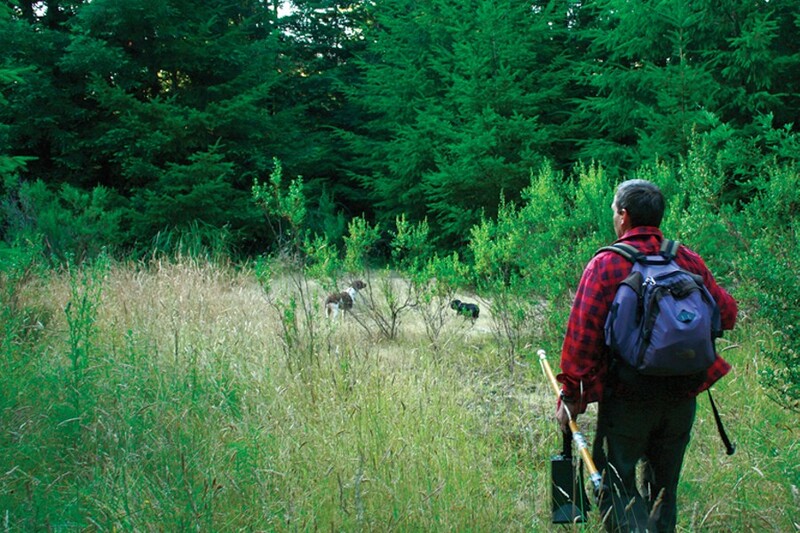 photo by Zach St. George Green Diamond Resource co. biologist Lowell Diller heads into the woods, accompanied by his dogs Riley and Cosmo. 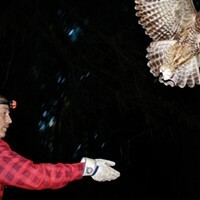 photo by Zach St. George Diller’s M.A.D.! 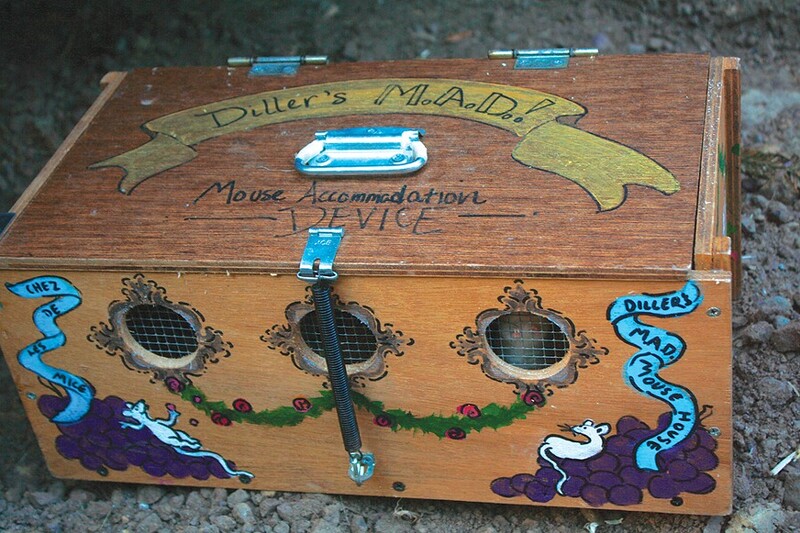 aka Mouse Accommodation Device. 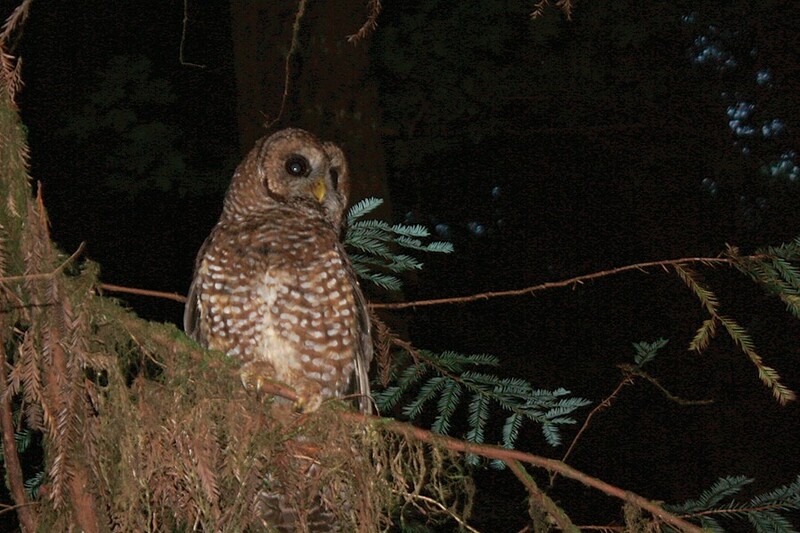 photo by Zach St. George A spotted owl takes the bait. 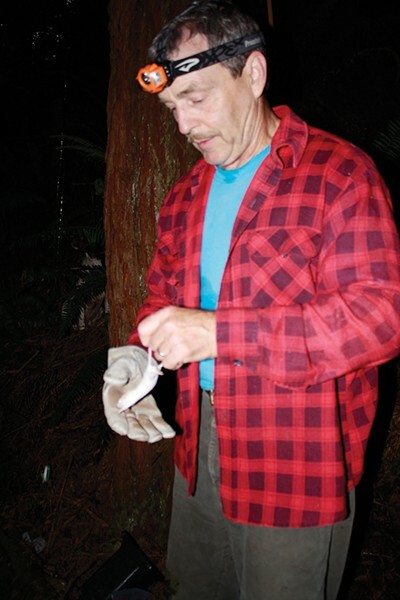 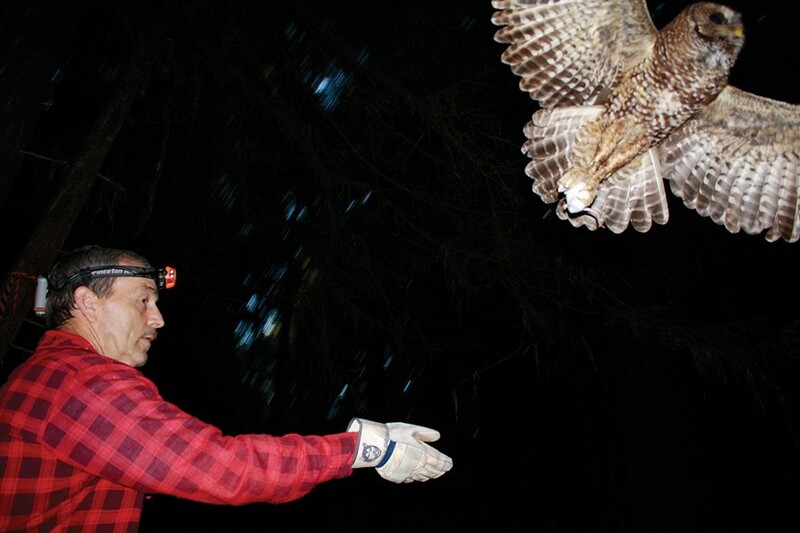 photo by Zach St. George Armed only with a mouse and a welding glove, Diller tries to attract a spotted owl. 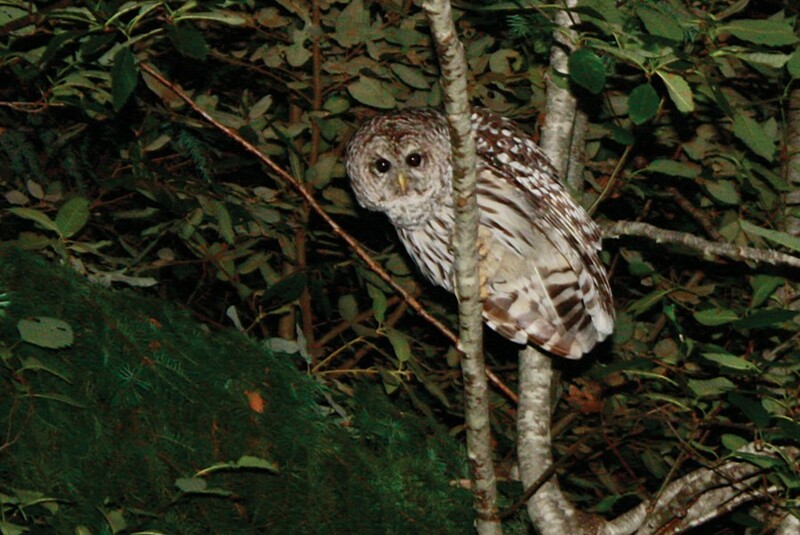 Only a tiny percentage of the owls’ diet comes from mousing, which is by far the most effective method of capturing spotted owls. 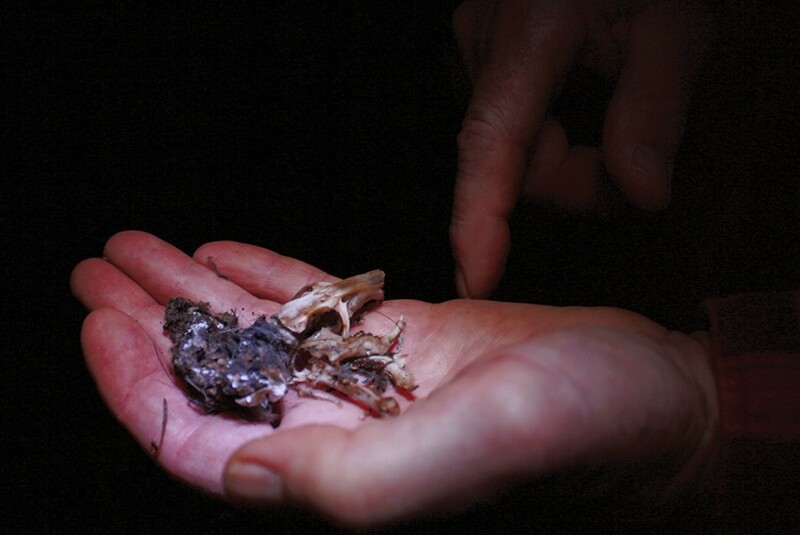 photo by Zach St. George A spotted owl pellet, consisting mostly of woodrat, the owl’s primary prey on the redwood coast. 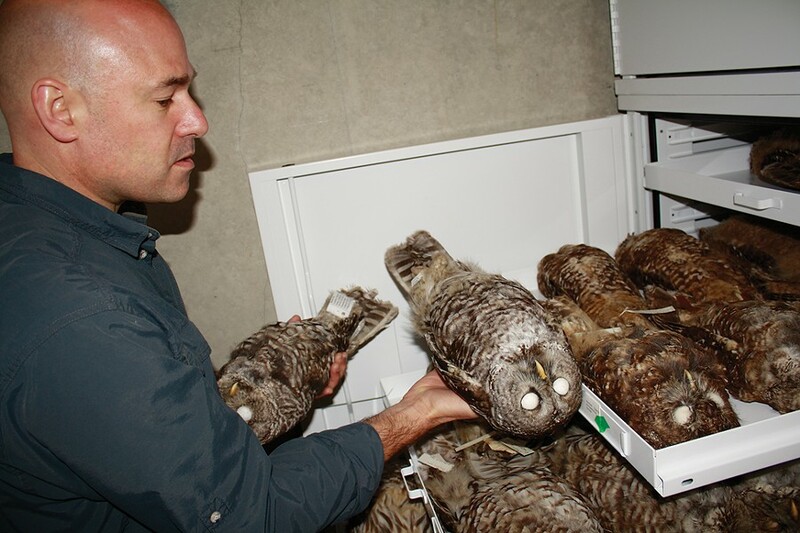 photo by Zach St. George Jack Dumbacher holds up a stuffed barred owl in the California Academy of Sciences’ vaults.